Race 2, starting in group two from the result from last week. And not being a fan of the flats I thoroughly expected to get shot out the back on the first lap. Luckily for me the corners were taken slow due to the rain allowing everyone to bunch up again. 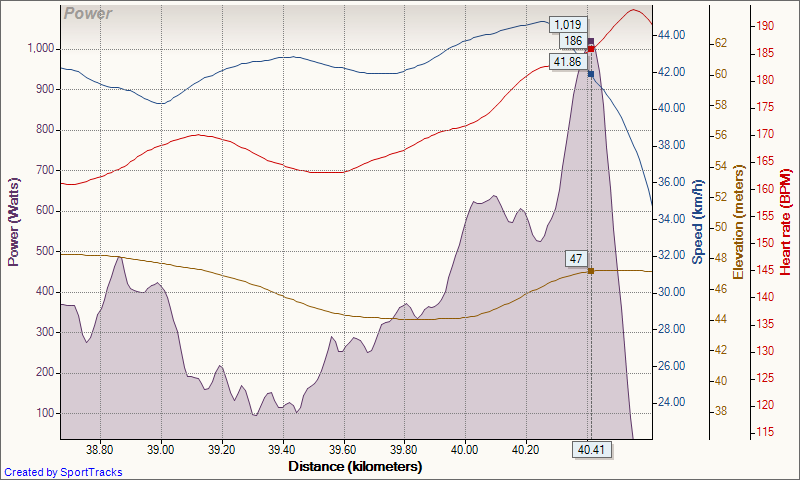 And the is two slightly uphill sections which I could recover on. Yes I recover on uphills! Right from the off the group worked well with almost everyone taking their turn. The few occasions where I looked back to see if the last guy was going through, the person a head of me went through. The guys not taking turns started burning off too. Overall though it held together nicely and we kept a steady pace of near 40km/h on the flats. 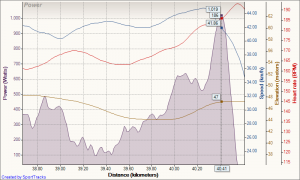 I did think I was in trouble during the second lap when my heart rate spike up above 180bpm but looking at the garmin, it was at the top of the fly-over that I went too far over. By the last lap guys were shouting at we were 2 minutes down on group 1. By the last corner however it has somehow grown to 2:40? That was enough to slow things down a bit, at least in perceived effort, the speed was higher for that lap, although possibly due to the sprint at the end. The final sprint wasn’t as fast or well what I expected. Along the straight to the sports clubs, about 5 guys moved to the front to take positions. I moved my way up and ended on the front as we passed the first corner. Things slowly starting winding up around this and I kept it calm waiting for the jump, a jump that didn’t come? About 100-150m from the line, I clicked up and just went for it. No point in dragging everyone to the line. The speed went up and people beside and behind me starting falling off, all the time I was looking out for someone else to start sprinting and come around. It wasn’t until the last 20m that someone did and he came by much to far to my right for me to grab his wheel, ending the group sprint with him crossing first followed by myself.